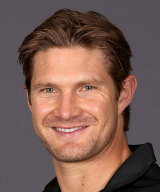 Shane Watson: Who’s a naughty boy, then? The longest and most deeply held rivalry in the history of cricket is that between England and Australia—a contest known as “The Ashes.” Since 1877, these teams have been duking it out: barring two world wars, when the countries were otherwise engaged, Australia would visit England during the English summer and then, two years later, England would visit Australia during the Australian summer. This year, however, in an unprecedented move to accommodate the teams’ preparation for the 2015 Cricket World Cup, England and Australia will play back-to-back Ashes matches—five in England this Summer and five in Australia over December 2013/January 2014. Unusually, given Australia’s general ascendancy over the last 135 years, England are currently firm favorites. England beat Australia 2-1 at home in 2009, and then won again (3–1) in Australia in 2011/2012. A core group of seasoned professionals has accommodated new players easily, and the squad will be relatively unchanged. Australia, by contrast, are in turmoil. Not only have they lost their grizzled old pros Ricky Ponting and Michael Hussey to retirement, but their players and management have collectively lost their marbles. Whereas England are making up for a dreadful start to their tour of New Zealand with the kind of solid, professional performance that their fans are now used to, Australia’s management has just sent four—that’s right, four—of their party home from India because they failed to complete their homework! Apparently, management had asked each player to write down three things that he needed to improve on, following the team’s disastrous performance in the First Test match in Hyderabad. Four didn’t complete the assignment, and were told that their services were no longer required. It was a drastic measure to assert discipline and has left one player—Shane Watson—considering leaving the international game altogether. Admittedly, Watson has underperformed with the bat for quite some time now, but he offers Australia options they don’t otherwise have, since he’s a more-than-useful bowler, and a fine one-day player. Whatever the merits of the strong message sent by Cricket Australia, the governing body, to the players, it’s the opposite of a morale booster for the contest to come. Which is a shame, since this Ashes contest promises to be a clash if not of titans, then definitely of captains: England’s Alastair Cook and Australia’s Michael Clarke. Both have had an extraordinarily productive—indeed, record-breaking—brace of years, and they’ve taken to leadership like the proverbial ducks confronted with the proverbial water. This battle would be a chance to see who’s the boss. And, while England won’t mind the turmoil in the Australian camp one bit, spectators will want a genuine contest come the summer. This entry was posted in Australia, Baseball, Cricket, England, India, New Zealand and tagged Alastair Cook, Michael Clarke, Michael Hussey, Ricky Ponting, Shane Watson, The Ashes, World Cup. Bookmark the permalink.